"Ogun omode o le sere f'ogun odun, ogbon agba o le sere f'ogbon osun." In its simplest form, this proverb is about the dispersal of people, the scattering of hitherto young lives to the far-flung corners of the earth as age, desire to achieve and the quest for life forces them to move. Old relationships are shattered or abandoned as the actors seek new ones in their new schools, universities, workplace or cities. Life happens, and people are transported to new destinations in their beliefs, methods, ideas and even political leanings as they grow older. We shift and change leaving behind fractured relationships. In its morbid form, the saying is about death. It anticipates, even predicts the death of older people. It makes no pretensions about the fact, that in the spectrum of life, octogenarians are far closer to the grave than the day they were issued from the womb. So, this saying pulls no punches about the decay of relationships and the decay of life itself. The literal translation of the phrase is that it is impossible for 20 children to be in the same playgroup for 20 years. There is bound to be some trigger that would see to the break-up of the group. This trigger is usually not negative. As stated above, some would move because of school, university or due to family relocation. 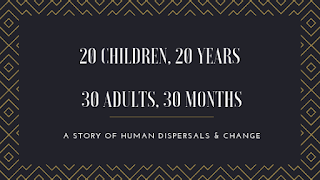 Whatever may be the cause, the effect is a dispersal. 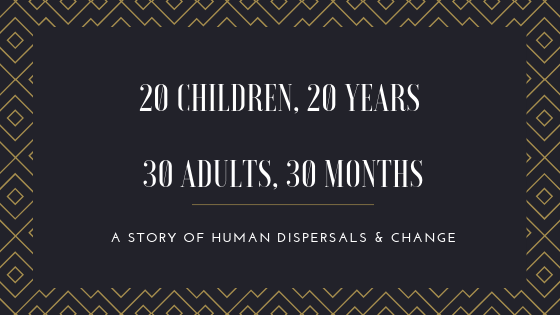 It is inconceivable that 20 children would still be closely knitted 20 years down the line. In the same vein, it is hard for 30 older people (we are talking of octogenarians here) to be together for 30 months. Whilst senior citizens are not usually concerned with the need to move frequently, the undertone is that at least one in 30 octogenarians who meet up regularly would have moved to the great beyond within two and half years. It is not impossible that a group of death-defying 30 octogenarians may be able to pull off this feat, the overarching moral of this saying is that there is a time and place for everything. Life is seasonal, so make hay while the sun shines.